Celebrate the highly-anticipated Batman v Superman: Dawn of Justice movie! 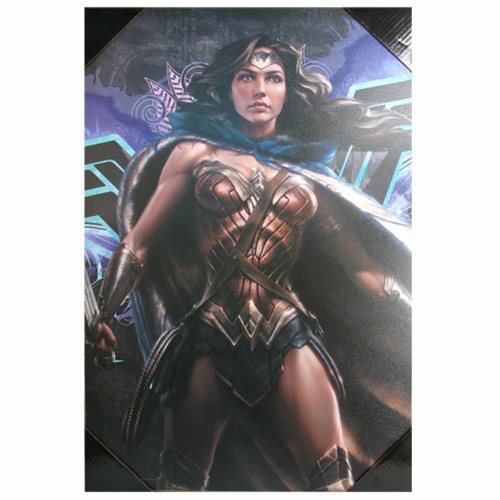 Gal Gadot's Wonder Woman brings the character to the Silver Screen in this Batman v Superman: Dawn of Justice Wonder Woman Wood Wall Art. It measures 19-inches tall x 13-inches wide and features awesome wood detailing! Ages 14 and up.